Port Mayaca Polo Club | U.S. POLO ASSN. | U.S. POLO ASSN. 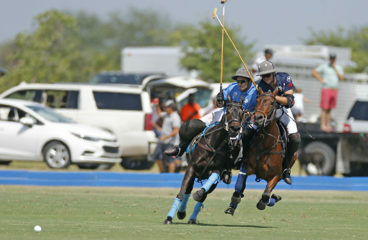 Port Mayaca Polo Club (PMPC) located in Okeechobee, Florida, was founded in the mindset of bringing polo players together to share in the enjoyment and camaraderie of the polo lifestyle. Traditionally polo players traveled to Florida polo clubs to play on great fields and collaborate with other like-minded polo enthusiasts. In many ways, PMPC feels this concept has been lost over the years. Port Mayaca Polo Club takes this idea to heart and keeps it in mind with everything they do. The club strives to promote competition without animosity, quality without pretense, comfort without extravagance, and sportsmanship above all else. Port Mayaca Polo Club welcomes all polo enthusiasts to join in the community they have built to share in the love of the sport. Hillcroft - Magoo Laprida, Tommy Collingwood, Herndon Radcliff, James Miller. Felica played by Magoo Laprida. Grand Champion - Francisco Escobar, Juan Bollini, JJ Celis, Grant Ganzi. Port Mayaca Polo Club - Steve Orthwein Jr., Leo Mandelbaum, JJ Celis, Brad Mallett. 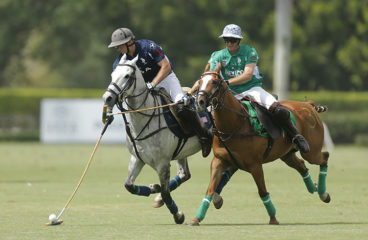 Rastrillo, played by Juan Martin Zubia and owned by Joe Meyer. Bo Goodman on the field. Player makes a hook on her opponent. Spectators line the sidelines during the benefit match for Molly's House. Awards presentation for Molly's House benefit match. Fans enjoy lunch at the pavilion at Port Mayaca Polo Club. Main entrance to the club. Fields of Port Mayaca Polo Club. Sunset over the pond at Port Mayaca Polo Club. Aerial view of the club. LAST CHANCE TO PLAY A NYTS QUALIFIER IN FLORIDA!